PARIS -- Faurecia has turned to business consultant and services provider Accenture to help it bring new technologies to market faster, with the two companies agreeing to a five-year collaboration to create a "digital services factory." 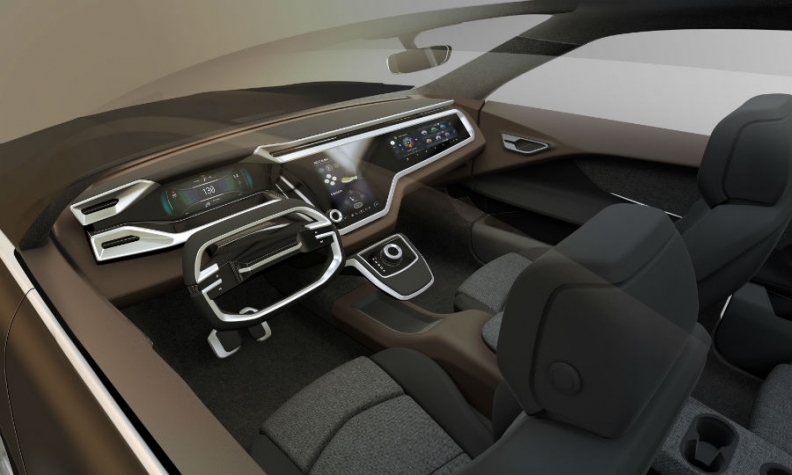 The companies will focus on interior technologies for connected and autonomous vehicles, said Patrick Koller, the CEO of Faurecia, which supplies interior components and emissions-scrubbing technologies. The French economic newspaper Les Echos said that the companies would invest a total of 100 million euros and commit a total of 200 people to the project, a figure that Faurecia and Accenture would not confirm. The partnership announced its first test project, which uses Amazon's Alexa voice assistant to control vehicle cockpit functions, on Wednesday at CES in Las Vegas. Other carmakers including BMW, Toyota, Ford and Volkswagen are integrating Alexa to various degrees, but in this application, each passenger can direct Alexa to perform separate tasks. Accenture worked from Faurecia's concept to integrate various technologies and cloud computing into a Parrot in-dash entertainment system. "It won't be the first time you have Alexa in the car, but it will be the first time it will differentiate between different users," Koller said at a news conference in Las Vegas. He said projects like this would help Faurecia stand out from other suppliers as trends like electrification, car sharing and autonomous driving shake up the industry. "The interior will be the key differentiator in the future" for car buyers, he said. "It's where they will find diversity -- it's not going to be in the powertrain." PSA Group holds a controlling stake in Faurecia, which is based near Paris. Revenues in 2016 were 18.7 billion euros, and the company ranks eighth in the Automotive News Top 100 global suppliers. Accenture, formerly known as Andersen Consulting, has revenues of $34.7 billion and employs 425,000 people. Accenture has worked with other automakers and suppliers, but a spokesman said the arrangement with Faurecia is different because Accenture is investing its own money in the venture, "in contrast to using a risk and reward sharing mechanism." The spokesman said Accenture could help companies like Faurecia find sustainable profits in fields like autonomous mobility and electrification, which so far have involved billions in investment with little positive impact on automakers' bottom lines. "OEMs and suppliers will need a strategy for how to steer this trend, partnering with big technology organizations -- without giving away too much of the customer relationship," he said. Faurecia and Accenture's "digital services factory" will generate and incubate new ideas, design and test potential offerings, and provide analytics to accelerate development of the new services, he said. Koller said Accenture and Faurecia were also collaborating on passenger health and wellness. "We want to make sure you exit the car in better shape than you entered," he said. "We are capable of measuring your stress levels through cameras and health sensors," he said. "We can monitor how you feel. We can monitor how you react." Using that data, the vehicle could automatically change seat position, turn on a massage, or change the music, he said. "We can do a lot of things to make your journey a lot nicer, and to relax you." "But not too much," Koller added. "We need to make sure you don't fall asleep and stay vigilant when you are driving." Marc Carrel-Billiard, Accenture's managing director for global research and development, said at the Las Vegas news conference that his company's strength was translating technologies into marketable products. "It's all very good to prototype, but it's better to deliver at scale," he said. "We want to take new technology like machine learning, blockchain encryption, and extended reality and apply it to the automotive industry and disrupt mobility."